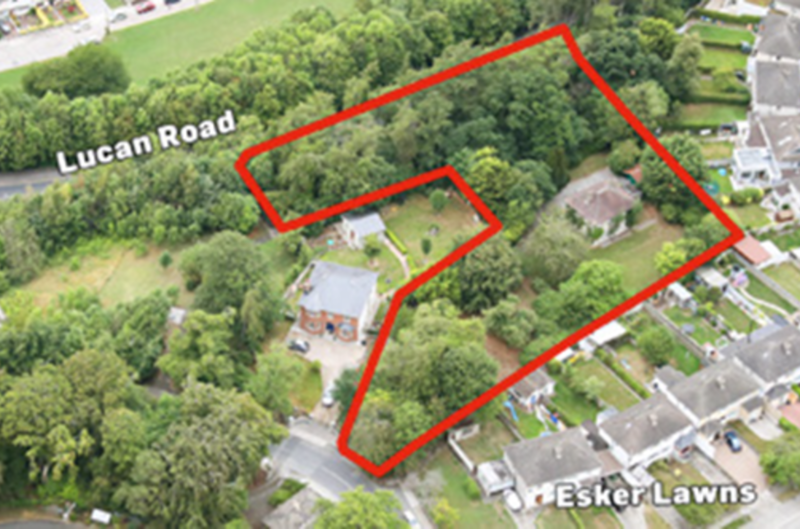 Located on the southern side of the Lucan Road (R835) close to Esker Lawns in the heart of old Lucan. Mainly zoned residential / part zoned open space. Potential for refurbishment and extension or full redevelopment (subject to planning permission). Desirable, attractive and secluded property close to the village and all amenities. 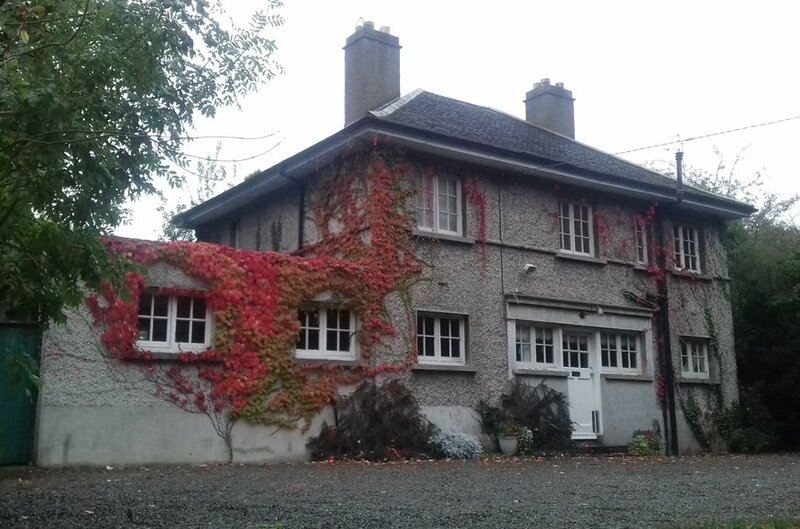 The property is situated on the southern side of the Lucan Road (R835) to the south of the main village of Lucan approximately 9km west of Dublin city centre. Lucan is one of the most established and sought after residential locations in the west side of Dublin, benefiting from its excellent accessibility to the M4 main arterial route leading in and out of Dublin city via the M50 and its excellent public transport both bus service and rail service. There are excellent retail facilities of a local nature available on the Lucan Road and within the main Lucan Village while Liffey Valley Shopping Centre is approximately 1.5km to the south east. There are excellent schools and sports facilities in the area. 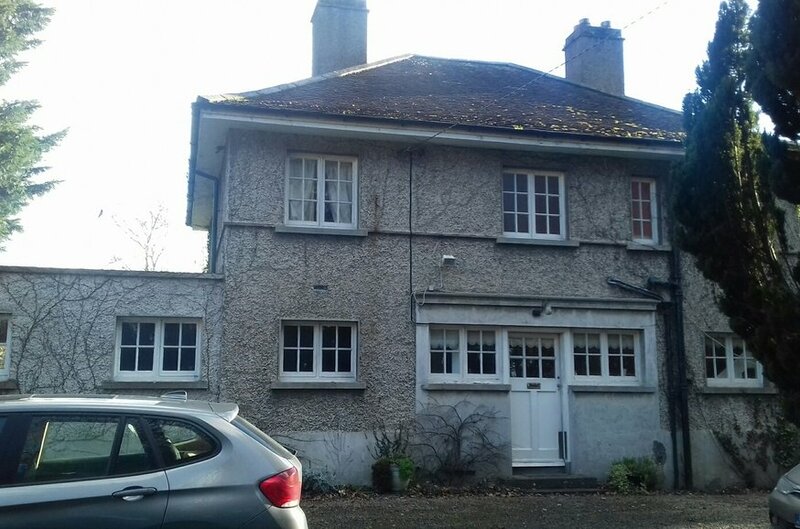 The property is located close to the heart of Lucan village and enjoys secluded a garden and mature setting. 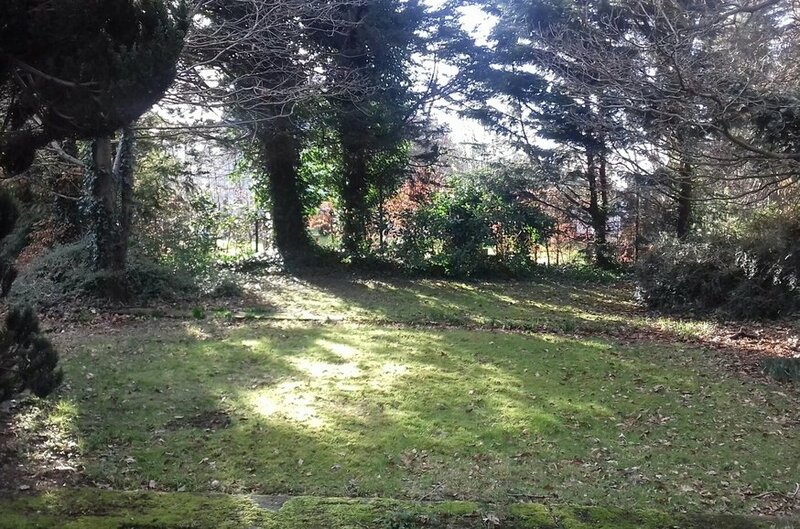 The lands are generally level although to the north the lands slope quite steeply down towards the Lucan Road and are covered with trees and overgrowth. The surrounding properties are all in residential use and comprise a mixture of mature semi-detached houses and a number of one-off houses and bungalows. The property briefly comprises a detached house which dates from the 1930s and comprises two reception rooms, kitchen, 4 bedrooms, a bathroom and separate WC. The property although well maintained is in need of modernisation and general updating. The total accommodation comprises approximately 154 sq. m. (1,657 sq. ft.) on a gross internal basis.The house enjoys views over the gardens to the front and side and there is a detached garage. 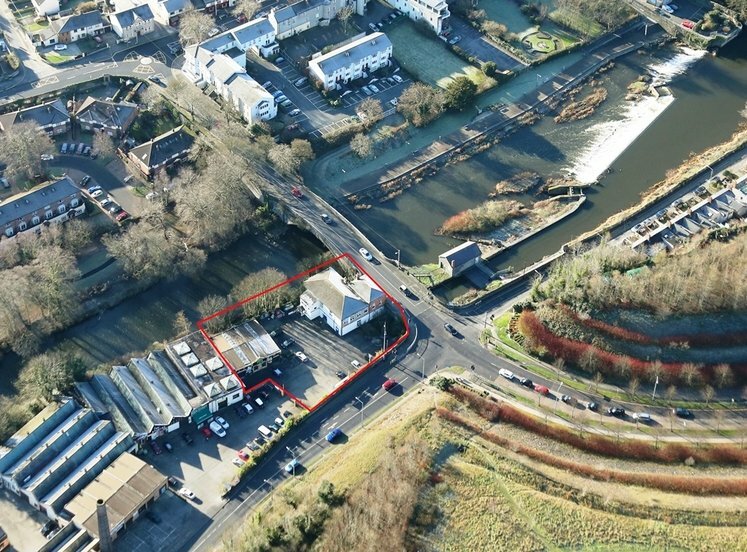 The site offers excellent development potential subject to planning permission. The property is mainly zoned residential "to protect and/or improve residential amenity" under the South Dublin County Development Plan 2016-2022. The rear sloped lands which contain trees and overgrowth are zoned open space. The property offers excellent potential for development and a possible scheme for the site (No planning status) has been prepared by Reddy Architecture and Urbanism. Further details on request. The total accommodation comprises approximately 154 sq. m. (1,657 sq. ft.) on a gross internal basis.The house enjoys views over the gardens to the front and side and there is a detached garage. 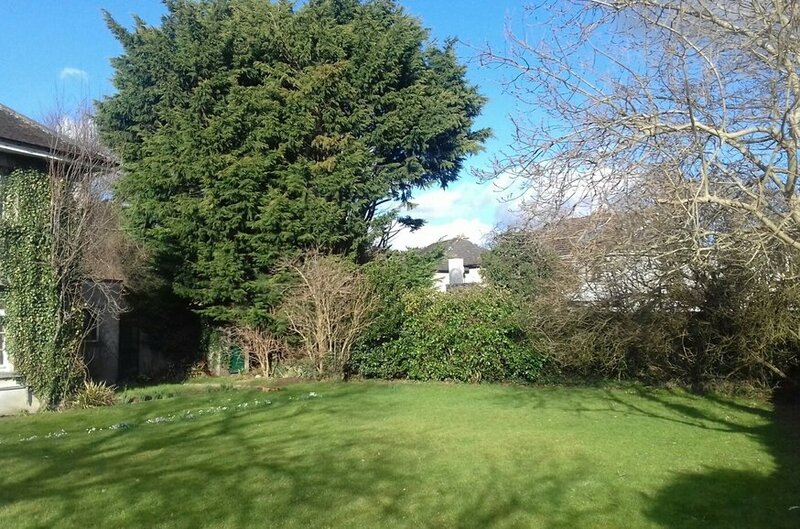 The site offers excellent development potential subject to planning permission.